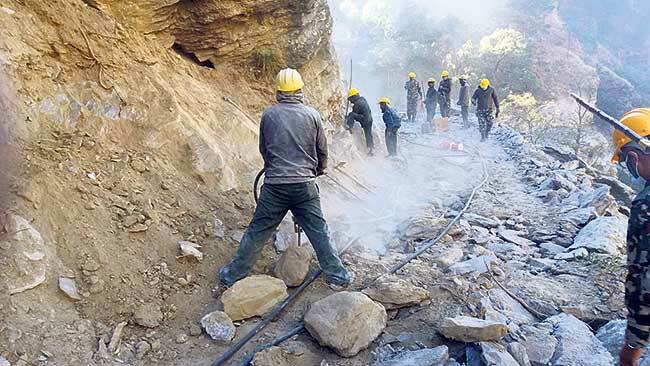 Workers prepare to insert explosives to clear rocks during the construction of the Mailung-Syafrubesi road. RASUWA, Jan 27: The Galchi-Betrawati-Mailung-Syafrubesi road, a project of national pride, is set to be completed and brought into operation from mid-April. 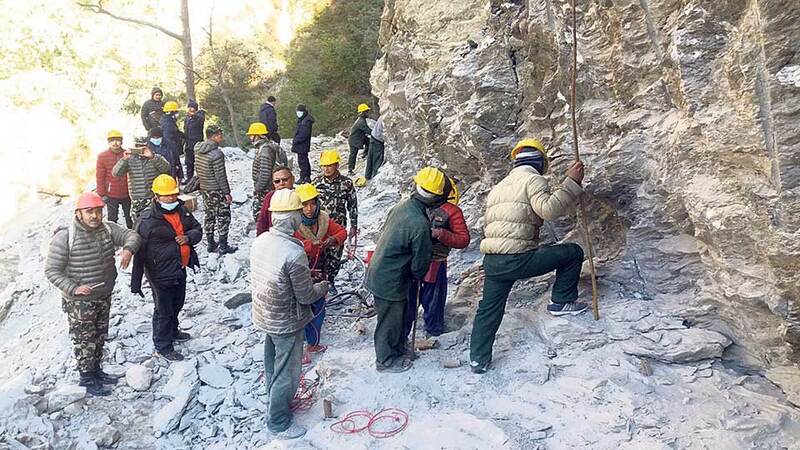 Nepal Army, who undertook the construction for sections of the road, has said that the construction work for the shortest road connecting Kathmandu to China is in its last phase. The opening of track for the road has been completed, according to officials. The road construction had started in mid-April 2015. “Blasting, drilling, and removal of soil and stones from the road are going on currently. Nineteen drilling machines and 40 jack hammers are being used for this,” added KC. Five hundred 40 people have been deployed for the construction of the road, out of which 190 are from Nepal Army and 350 are general workers. The construction works are being carried out from 7 am to 5:30 pm, according to officials. Five camps have been set up -- each in Mailung, Gumchet, Soley, Trishuli Dovan, and Syafru -- to give pace to the construction. A six-kilometer-long section from Simle to Mailung and another 17-kilometer-long section from Mailung to Syafrubesi were undertaken by the Nepal Army. 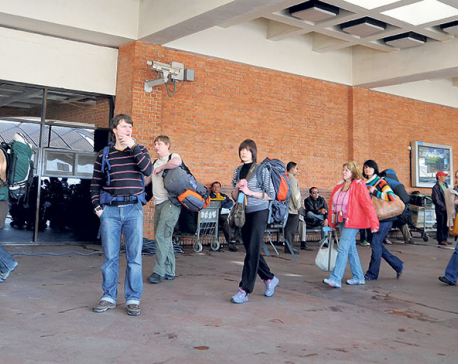 The road will be handed over to the Department of Transport by the third week of April, according to army officials. The Galchi-Betrawati-Mailung-Syafrubesi road reaching up to Rasuwagadhi is going to be 24 kilometers shorter than the currently operating Galchi-Betrawati-Dhunche-Syafrubesi road. The road through Dhunche has 35 difficult turns, but the road through Mailung will be free from such turns. Officials from the Development and Construction Directorate of Nepal Army recently visited the construction site of the Mailung-Syafrubesi road. 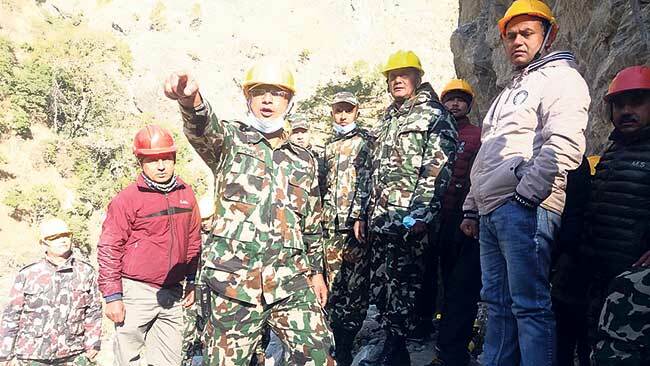 Director of the directorate and brigadier general Ramdhar Singh, along with his team, visited the Syafrubesi-Trishuli Dovan section of the site. The inspection team directed the construction team to complete the road within the stipulated time and hand it over to the Department of Transport. Major Sanjaya KC of Nepal Army, the chief of the Mailung-Syafrubesi road construction team, briefs Ramdhar Singh, the director of the Development and Construction Directorate of Nepal Army. Nepal Army personnel are seen drilling.